CPR Aquatic's Tumbler media reactors are an excellent way to actively run filtration media in your system. 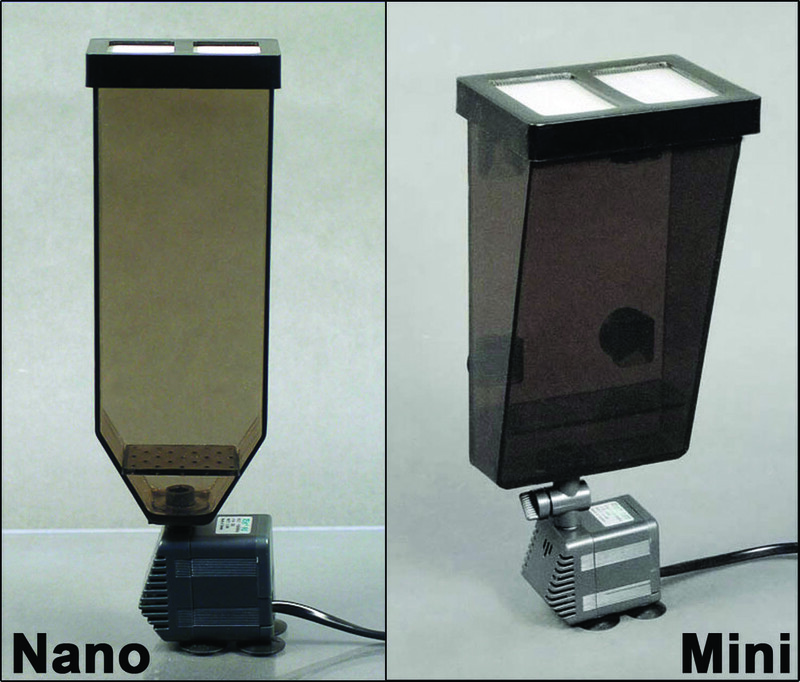 The Nano and Mini Tumblers will help keep your tank clean by fluidizing filtration media, so that it is more efficiently used. This will help your aquarium stay cleaner while using less media over time. Any media, such as bio-pellets, carbon, ion-based resins and phosphate removing media among others, can be used in the Tumbler reactors. * The Tumblers utilize an upward flow design so that media can be thoroughly and gently fluidized, and due to their small footprint, they can be used in even the most cramped installations. The Tumbler's efficient design uses pumps that require between 3-4 watts of electricity, and the simple, yet secure lid assembly, makes maintenance and media exchange very easy. Adding a Tumbler Reactor to your system will make your tank cleaner and easier to maintain.